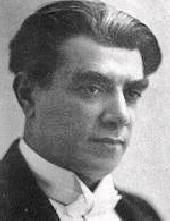 This website is a celebration of the life and music of Russian composer Reinhold Moritsevich Glière (1875-1956), and in particular his epic Third Symphony. The Symphony no 3 in B minor, opus 42, is a large symphonic work – a program symphony – depicting the life of folk hero Ilya Murometz. It was written between 1908 and 1911 and dedicated to Alexander Glazunov. The symphony lasts 80 to 90 minutes, depending on whether played complete or edited. It is divided into four movements, each depicting an episode from the epic. Glière wrote an extensive narrative in Russian and French to accompany the score. The symphony calls for a very large orchestra – piccolo, 3 flutes, 3 oboes, cor anglais, 3 clarinets, bass clarinet, 3 bassoons, contrabassoon, 8 horns, 4 trumpets, 4 trombones, tuba, timpani, triangle, glockenspiel, snare drum, bass drum, gong, cymbals, celesta, 2 harps, and strings. Andante sostenuto – Allegro risoluto. Two pilgrims tell Ilya to become a bogatyr. The most powerful bogatyr, Svyatogor, bequeaths his strength to Ilya as he dies. Andante. Ilya encounters Solovei the Brigand, a bandit whose whistle can kill. Ilya shoots him in the eye with an arrow and drags his body to the palace of Prince Vladimir. Allegro. Vladimir the Great of Kiev holds a great feast, at which Ilya decapitates Solovei. Allegro tumultuoso – Tranquillo – Maestoso solemne – Andante sostenuto. Ilya defeats Batygha the Wicked and his army of pagans in a great battle. Ilya and his bogatyrs later encounter two heavenly warriors who multiply each time they are killed; pushed to retreat, Ilya and his men are transformed into stone. The symphony's length (often more than that of a single CD), its requirement for a large number of performers, and its technical difficulty (not to mention the need to hire performing materials because it is not out of copyright until 2027), have together conspired to limit the opportunities to make recordings or stage performances, and thus to limit its public familarity and popularity. This website aims to tempt the reader and listener into discovering this great but unjustly neglected work. As well as pages on the composer and an illustrated programme note for the symphony, there is a full list of recordings, a selection of videos, and a complete list of known performances by both amateur and professional orchestras. When this website was created in 1999, before the days of social media, it had the delightfully unexpected effect of bringing together living relatives of the Glière family. Today that dialogue continues at Facebook's Gliere Society. 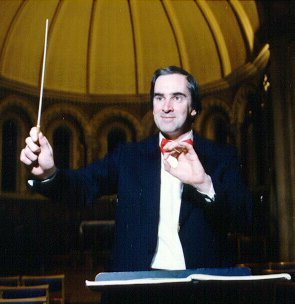 Author Geoff Bushell has since 1983 been conductor of St Giles Orchestra, Oxford, England. In 2017 Geoff founded the Didcot Concert Orchestra.